This is convenient everyday woman’s jacket made by Molly Gonzales Gummings. 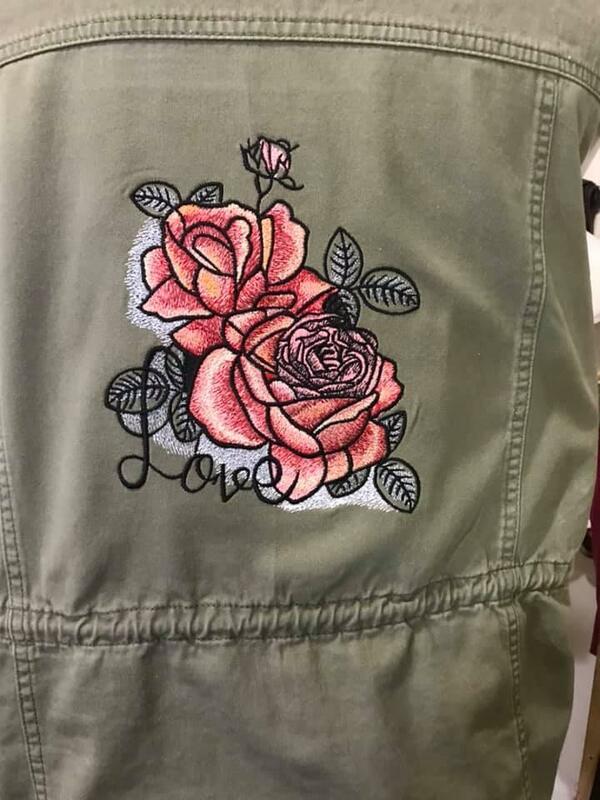 It could be a bit boring without I love roses embroidery design on its back. This beautiful embroidery sample gives some femininity and style for this clothing. It still may look ordinary from front side but when you see its back you understand that its owner has some highlight in her character.